So, you are used to flying to big cities. Your job requires you to travel a lot. Not spending every day in a cubicle is a blessing and a curse. While you have the opportunity to see the world, you deal with a lot of stress. Those who have never planned a multi city trip do not know what it is like to struggle to book an itinerary, arranging for accommodation and cramming in multiple destinations. The most stressful part of travelling is getting to the airport. You can take your own car, but parking will have you break the bank. You can take public transportation, yet you do not have guarantee that you will arrive on time. So, what is a traveler supposed to do? Book an airport taxi transfer. The airports are getting pretty busy, which is why a little bit of planning is necessary. 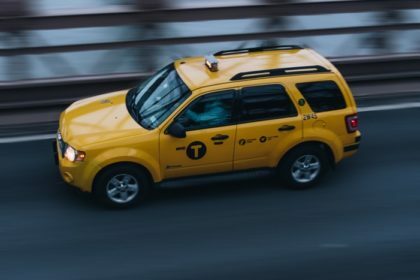 There is nothing easier than hopping into a yellow cab. You do not even have to tell the driver the destination. They already know and they will drop you off at the airport right away. If you would like to find out more about airport taxi transfers, keep on reading. You do not have to be a genius to understand that there are significant advantages to taxis. A yellow cab is better than a train. It is necessary to download the local map before you head off, not to mention that ticket systems are rarely comprehensible. You are better off hiring a cab. With the help of an airport transportation company, you can get to your destination comfortably. What is certain is that you will not miss your plane. If you are genuinely interested in hiring a service of this kind, make a reservation over the Internet. Fill in the online form with the necessary details. You will be required to specify your name, phone number, email address, pick-up address, drop-off address, and the date and time. If you like, you can indicate the nature of the business trip. If you are on the rush and you simply do not have the time, call the company directly. As for the form of payment, some service providers are willing to let you pay when the driver comes to pick you up. Reservations made online are very advantageous. You can get a huge discount just for booking a service online. Airport taxis are nothing like public transportation, in the sense that you have access to the service 24 hours a day, 7 days a week. Millennials approach their business travel differently. They manage to find time when traveling. Call a taxi and be on your way. Do not waste your time with other options. Until you get to the airport, you can answer one or two business emails. According to statistics, there are many road traffic accidents in the United States. Take Sacramento for example. The number of fatalities has risen significantly since 2016. This does not mean though that you should avoid taxi transportation to Sacramento airport. While it is true that many people have got hurt in collisions, this will not happen to you. Can you guess why? Because airport transfer companies hire the best drivers. Chauffeurs go through a comprehensive background check, they are tested for drugs and alcohol, and are subjected to a number of other tests. The point is that boarding a yellow cab is completely safe. You do not have to worry that you will get involved in an accident. The drivers are professionals and they do their best to look out for passengers. The biggest mistake that you can make is haul a car on the street. Even if the taxi has a license plate on the back, it is not a guarantee that the service is reliable. Instead of putting your trust in a cab driver that you have never met before, you should better use a professional service. You will be much more safer if you plan your trip ahead of time. If your flight happens to be delayed, it is a good idea to get in touch with the service provider and let them know. What is more, if your trip is moved to an earlier time, you have to share this information. A travel interruption does not necessarily mean a nightmare. It does not matter that you have spent hours at an end planning the perfect business trip. Surprises are bound to happen and you have to learn how to deal with them. More and more travelers are using airport taxis and it is not hard to understand why. Voyaging becomes less stressful since there is no need to find transportation to the airport. Later on, you will have to rent a car so as to be able to get around. Yes, but until then, you have to get to the destination. In what follows, we have outlined some of the advantages of using airport taxis. Generally speaking, airport taxis are comfortable and spacious. The vehicles are magnificent and clean. You can take your laptop and start working. Nobody is going to interrupt you. You enjoy a private travel experience, which is kind of amazing. You do not have to hear couples arguing or kids screaming. No matter what others say, public transportation does not beat yellow cabs. Actually, the opposite can be argued. People typically assume that arranging transportation to the airport is a costly affair. Nothing could be further from the truth. Airport taxis are affordable. Getting a random taxi or hopping on the subway will not cost you an arm and a leg, but it will cost you. Building urban rail in the United States is not cheap, so the cost per rider is significant. If you are interested in saving some money, arrange for pick-up. When it comes down to business travel, time is of the essence. If you do not arrive at the airport in a timely fashion, you risk losing your flight. This is troublesome because you have to reschedule meetings and hope that clients understand the situation. 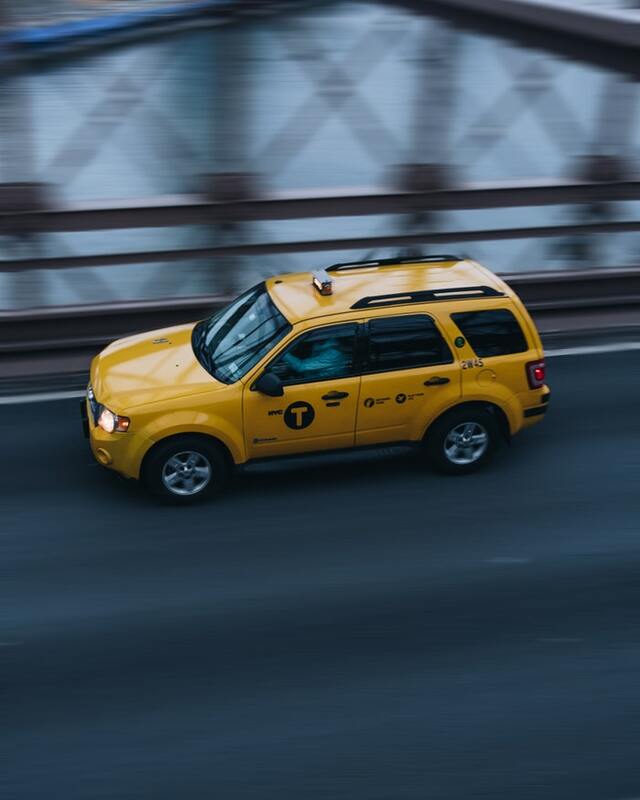 When you hire a yellow cab, you are safe. There is no waiting involved, not to mention that the drivers are so knowledgeable that they can get to the destination in no time.